The holiday season has arrived and it’s the perfect time of the year to relax, unwind and spend quality time with loved ones. And, what better way to do that than have an epic road trip? As the old saying goes “the journey is the destination”. If you’ve hit the high road with family and friends before, then you know just how enjoyable driving long distances can be. Even more so when everyone else in the car is singing along happily to a catchy Taylor Swift song and cracking jokes throughout the journey. Travelling on a straight road for a long period of time is monotonous and can even lead to falling asleep while driving – resulting in a potentially fatal accident. Plan a pit stop whenever necessary to stretch your legs and to improve blood circulation or grab a bite to eat. Sometimes we feel the need to pack that extra bag for those ‘what if…?’ occasions. But be warned – if you are not using a trailer, heavy luggage can affect tyre tread and reduce the efficacy of your brakes. Minimise luggage as best as you can and check the sticker on the inside of the driver’s door which tells you the maximum capacity your car can handle. 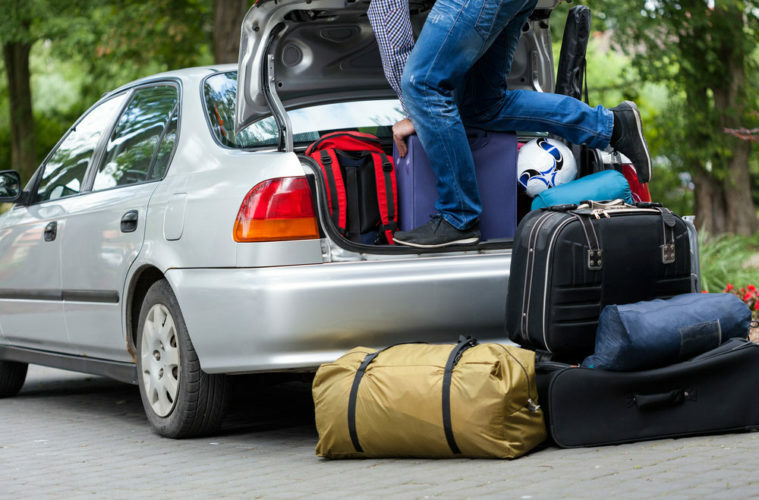 Remember to pack your car so that the weight is balanced across the axle of the vehicle. If you’re staying at a self-catering accommodation, see whether you can buy your groceries when you arrive at your destination to lighten the load even further. You shouldn’t be driving when you’re tired. Even if you have to delay your trip by a day just to catch some extra Z’s, do so. By making sure that you are well-rested before getting behind the wheel, you’ll feel more alert on the road – not only keeping you safe but your passengers too. If at any point you feel like you’re losing focus, pull over when it is safe to do so and let one of your licensed passengers drive. The last thing you want is to have to change your tyre in the middle of the night in an unfamiliar area. Make sure your tyres are correctly inflated and there are no punctures. Checking that you have enough tread on your tyres is just as essential to assure a smooth ride. And have an inflated spare tyre, emergency triangle, wrench and jack with you – just in case. Don’t forget your ‘padkos’ and to inform your car insurance provider of your planned road trip. Also, as burglaries are prevalent during the holiday season, make sure you have home contents insurance too!